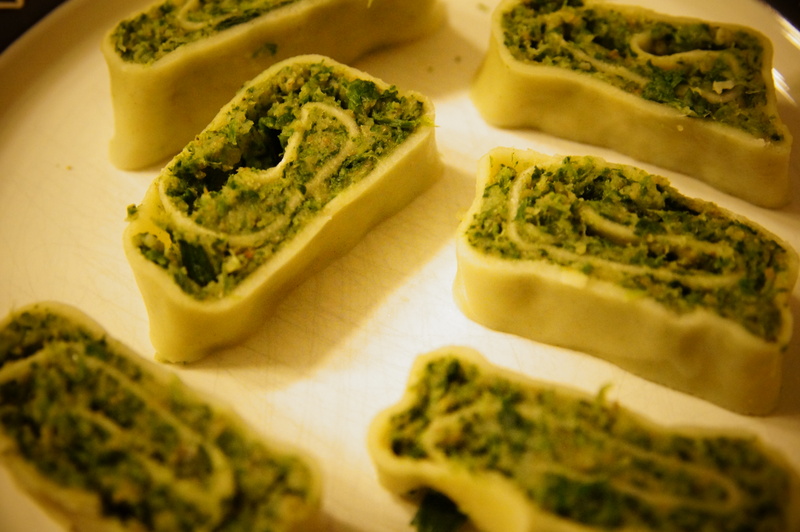 Intro and background on Maultaschen history. 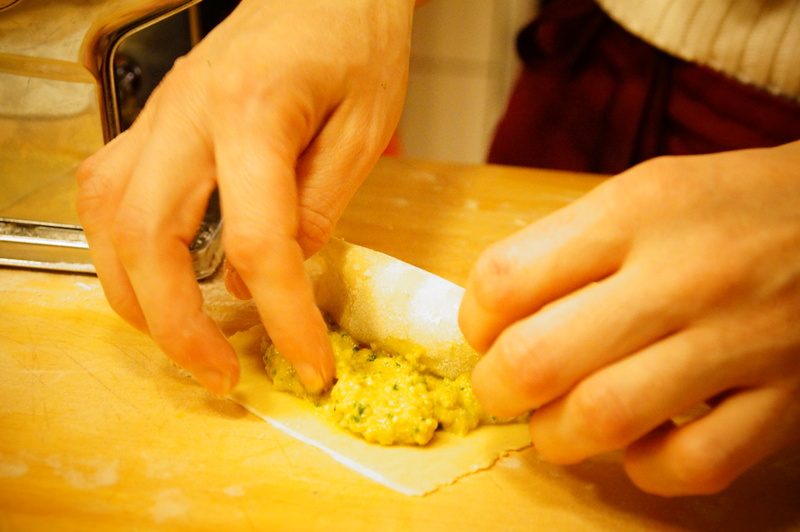 and THREE Vegetarian Maultaschen recipes. Below are pictures from the above posts or from my efforts to try and taste every Mautaschen in Schwabenland. 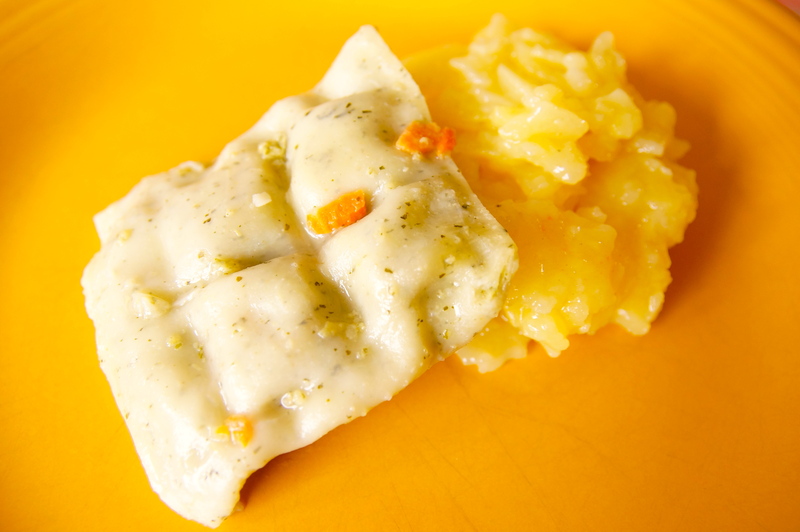 Vegetarian Maultaschen with traditional Swabian potato salad sold at the Catholic church as a fundraiser. 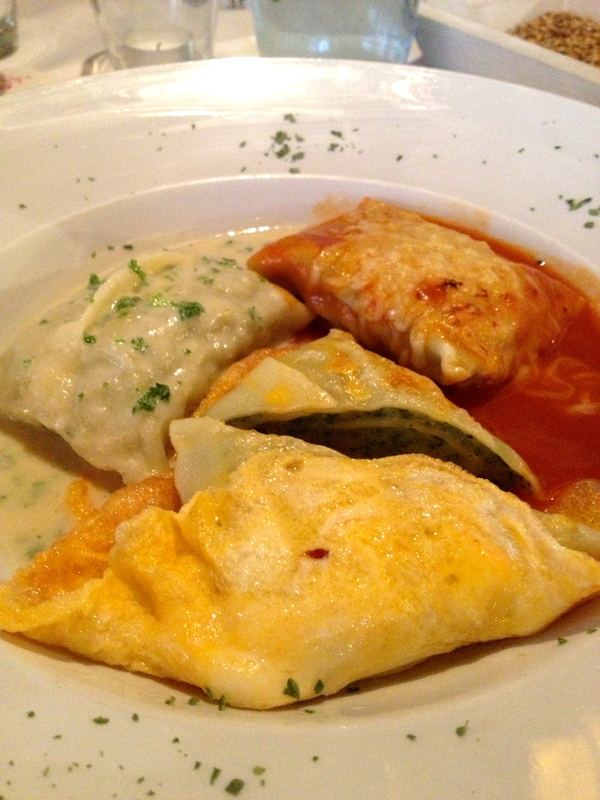 Maultaschen Trio served at the Roter Ochsen in Ellwangen. One was cloaked in an omelette, one was in a cream sauce and the third was in a tomato sauce. 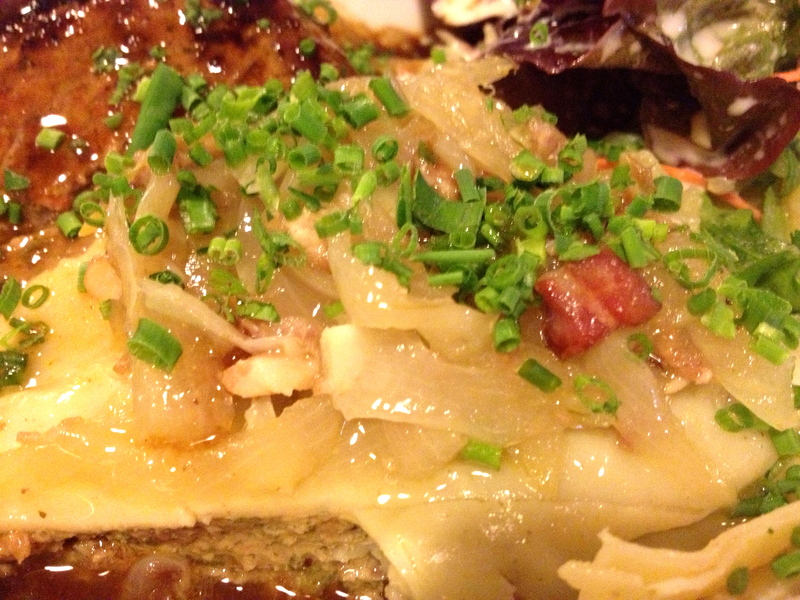 Traditional Maultaschen next to a Frikadelle served at Forelle in Tuebingen. One of the better ones. 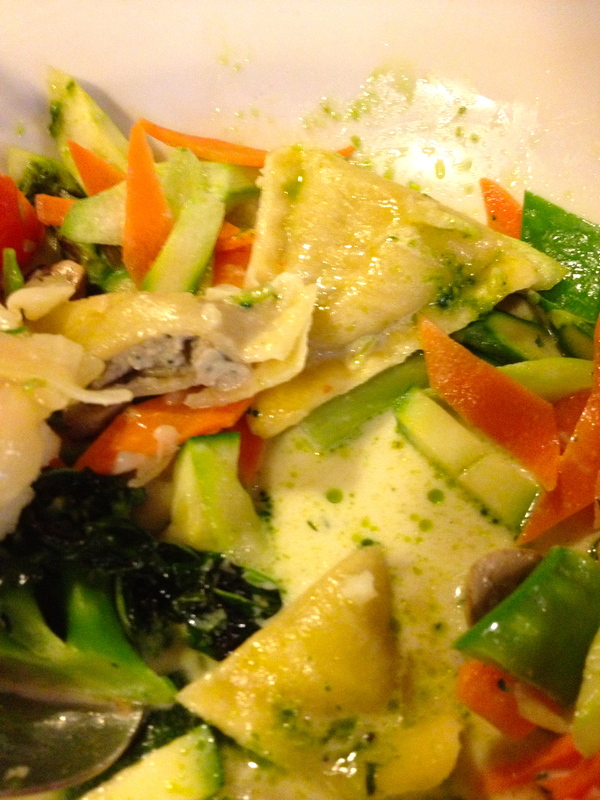 Vegetarian Maultaschen made of fresh porcini mushrooms served in a light pesto sauce with other streamed vegetables at Forelle in Tuebingen. 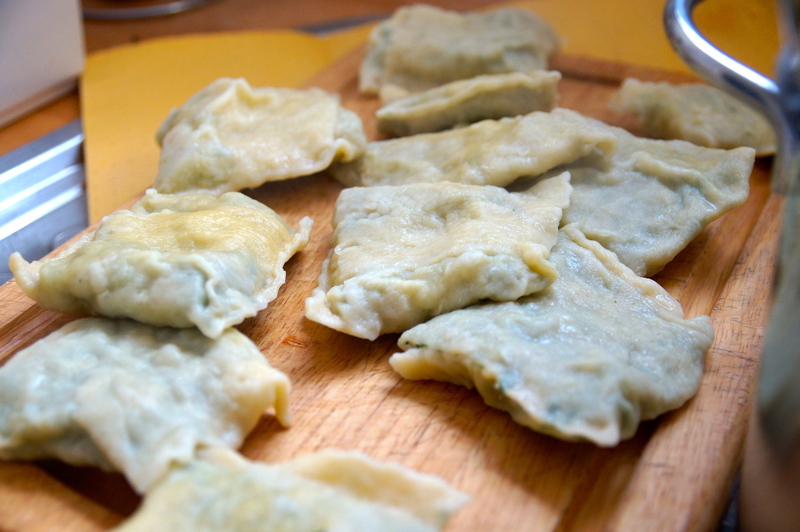 The Maultaschen looks more like ravioli, a tendency in vegetarian versions I’ve noticed. 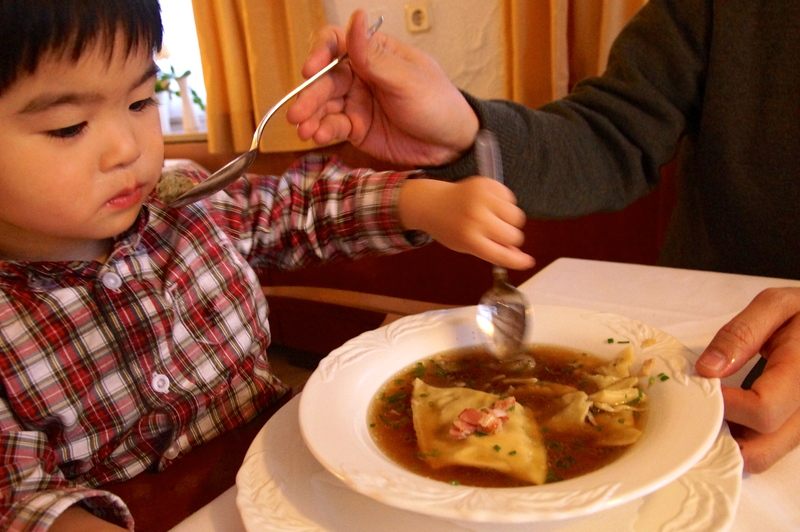 Maultaschen soup at Landgasthof Lamm in Ebnat-Aalen. Lenny liked it. Lenny always likes it. Freshly cooked authentic Maultaschen draining on the cutting board. 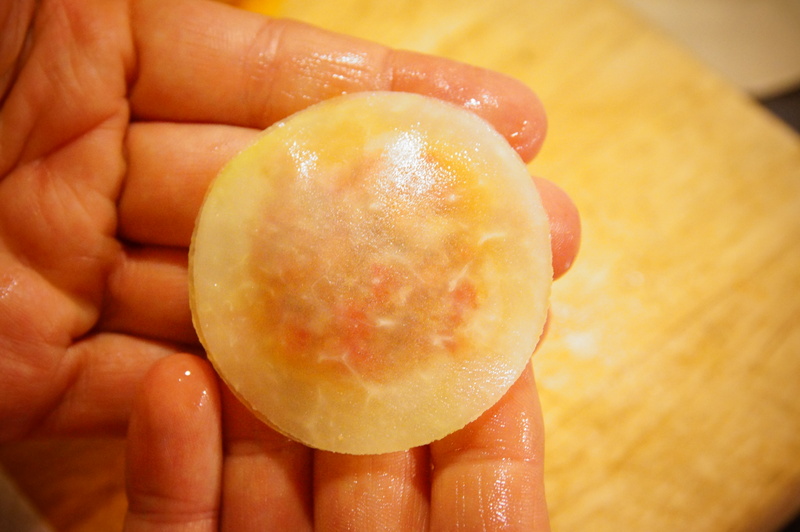 Katja’s Kohlrabi Ravioli from Vegan for Fit. 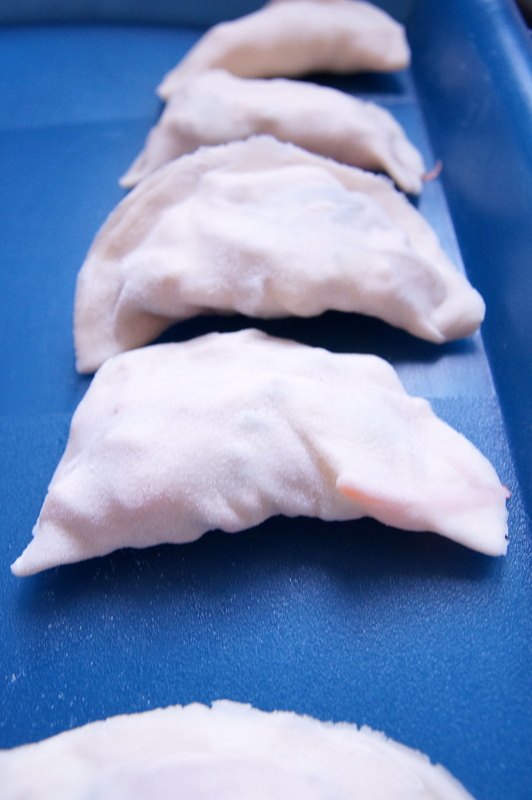 Tags: Aalen, cooking Korean in Germany, Forelle Tuebingen, Jane, Landgasthof Lamm Ebnat, Maultaschen, Roter Ochsen Ellwangen, Schwabenland, Swabian food, vegan mandu, vegan Maultaschen, vegetarian Maultaschen. Bookmark the permalink.